People living elsewhere sometimes comment on how Californians do not experience the change of seasons. While the weather and foliage here may not be as vividly diverse and bold as that on the opposite coast, the change in seasons definitely has an effect. In past years, I know that I have complained of the shortened hours of sunlight, and cooler weather bringing on more discomfort in my body. This year, I would like to go into it with more appreciation for the innate cycles which appear in not only nature, but in life as well. While my role in my boys’ lives shifts once more, in addition to my yoga teacher leaving my studio, my body is physically transitioning as well. Over the past 4-5 years, I’ve experienced the most erratic menstrual cycles spanning from 14 to 62 days. Last November, however, I had my last menses and, since that time, a number of physical changes have manifested. The hot flashes that you hear most about, has been the least of my complaints. In fact, having a tendency for always being cold, they were not much of a big deal until the heat of summer hit. Insomnia resulting in constant fatigue was one of the biggest issues for me, as was the increase in my body’s discomfort. The latter likely due to the overall dryness that accompanies the shift in hormones. 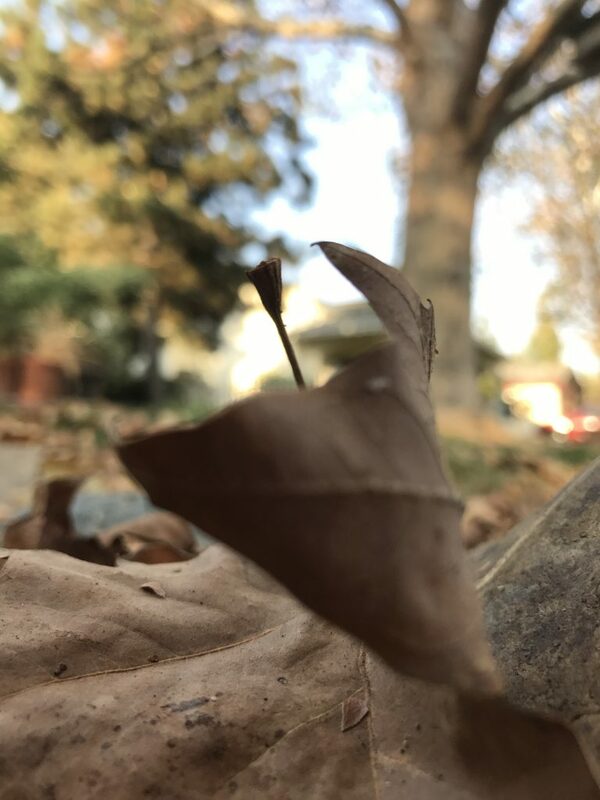 Like the leaf in this photograph, when muscles and bones lose their moisture, they sort of lose their structural integrity and ability to withstand the pressures of life. While I cannot simply drop my metaphorical leaves and grow new ones in the spring, I can let go of my expectations that I continue to go through life as I did when I was 30 years old, and allow for new manifestations to develop. In as much as I am shooting to cultivate an appreciation for the shifts that come with the arrival of autumn and winter, I am also seeking to learn to embrace the process of aging. 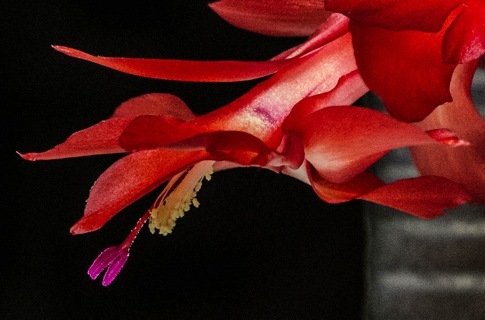 The last of the my christmas cactus blossoms have fully opened. The rest have already started to shrivel up and go limp. Still, the remaining blossoms overflow with pollen. It is beautiful. Just like the season of giving, the season of winter blossoms is coming to an end. Fortunately, it seems that I have other blossoms in my future. My orchid has buds which are starting to swell. I can’t wait. This time or year can be rather exciting. Take a look around you. 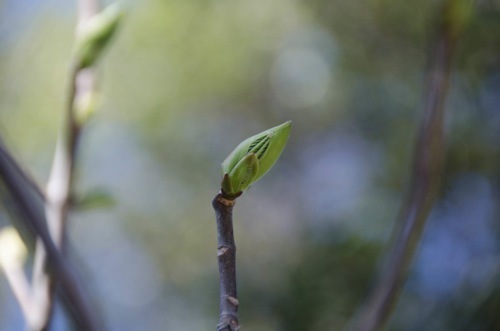 Whether you previously planted seeds for the future, or are simply letting nature take its course, the signs of new growth are beginning to take form.